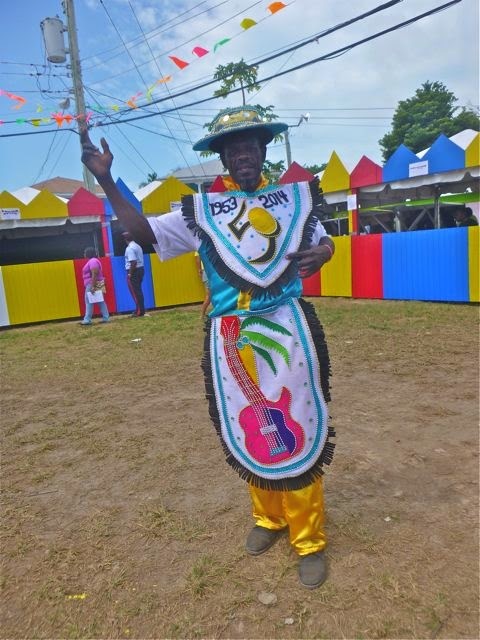 He looked mah-va-lous, in his colorful getup at the Bahamanian Music Heritage Festival. When I told him as much and asked if it was alright to take his photo. He agreed, on the condition I was in one with him. “My name’s Obama Bahama. 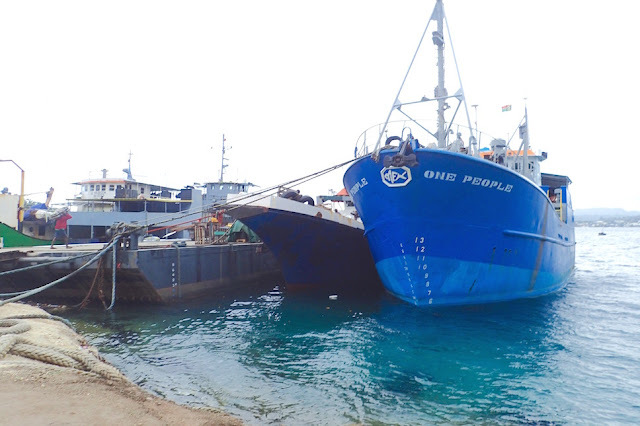 No relation,” he said, his hand outstretched in introductory and close-the-deal handshake. 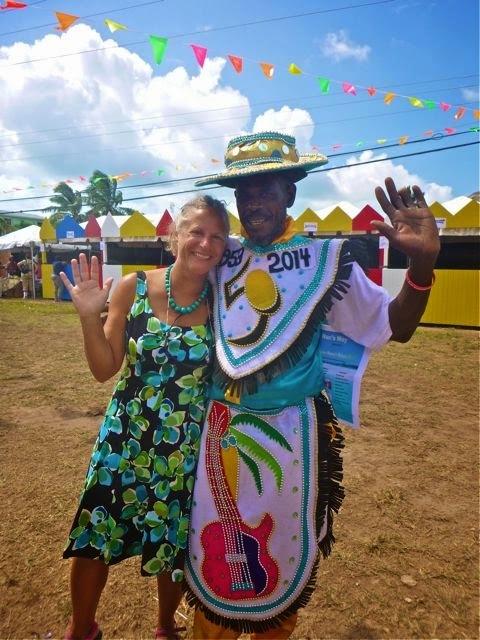 A gaggle of trailing music festival staff ladies tittered. “I’m hot!” he declared to them, with some bravado. “He’s not!” they countered, giggling more. “I’m on the spot!” he retorted, definitely a man prepared to get in the last word, in a rhyme every time. 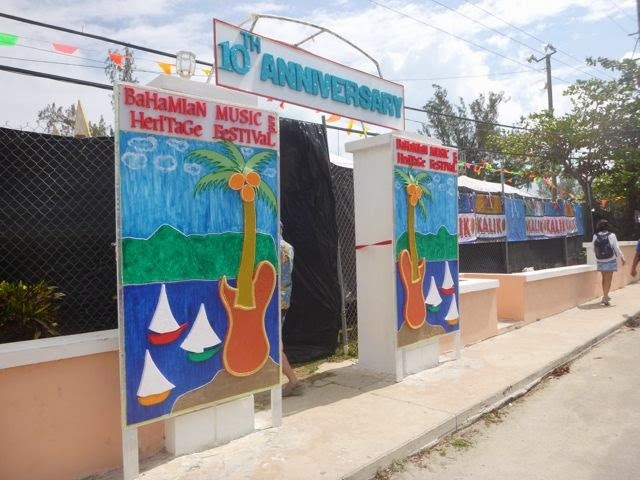 Entry gates to Georgetown’s Bahamian Music Heritage Festival. away by night in high winds and chop. So we’ve passed. Georgetown area BAHAMAS, off Stocking Island near Chat n Chill / Volleyball Beach (N23.31.126 W75.45.544) We’re still in Georgetown with Wayne’s Dad Phil and his lovely life Gunnel, both former cruisers. 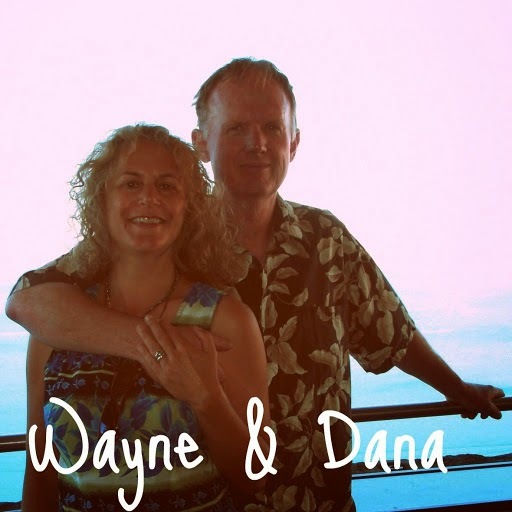 We missed our weather window to head to back up the Exuma chain, but set sail tomorrow, returning to Georgetown the 19th for Wayne’s folks return flight.